MTSU professors and students will be recognized at the seventh annual multi-media art and film festival, Artlightenment, which will showcase dozens of visual artists, painters, sculptors and filmmakers on Nov. 7, 12, 13 and 14 at The Celebrity Centre in Nashville. 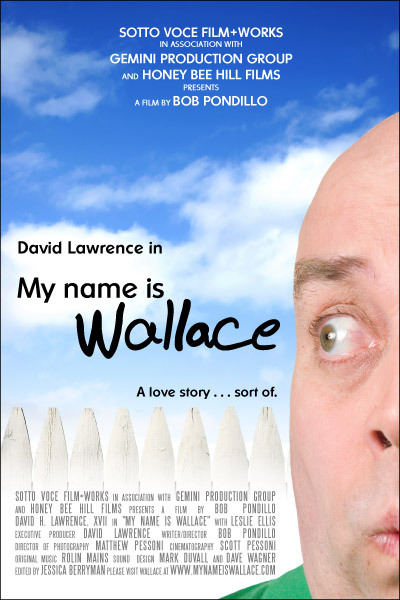 The festival’s “Featured Filmmaker” will be Dr. Bob Pondillo, who will premier his film My Name is Wallace on Thursday, Nov. 12 at 6 p.m. Prior to the film’s screening, Pondillo will speak on “The Story of Filmmaking.” Pondillo is an MTSU emeritus professor of American Media History and Culture at Middle Tennessee State University, teaching the beginning and advanced Screenplay Writing classes. His short narrative movies have won dozens of awards at festivals internationally, and his films have been chosen as “Official Selections” in over 100 film festivals, including the prestigious Festival de Cannes. The festival will also feature the Department of Electronic Media Communication’s Athens Project, three films produced by well-known documentary filmmaker and Assistant Professor Tom Neff. The three films were shot by student filmmakers from the Department of Electronic Media Communication as part of the MTSU Signature Documentary Program Abroad. The films explore the lives of artistic and creative people in Athens, Greece. The films are: Parkour City, a story about a coach who teaches life values of a healthy body, mind and soul to his students; Martha Frintzila, a film about a singer, actress, and teacher in Athens who directs classes and performances at her studio Baumstrasse; and Camillo, a closer look at an artist and dancer who creates performances using the high wire and other acrobatics. Artlightenment was created by painter, sculptor and film producer Robyn Morshead in 2009. Three-day tickets for the event are $15. Ticketholders will enjoy access to all exhibits and workshops, as well as to the Film Festival and closing-night awards and fashion shows. For more information about the Artlightenment 2015 Art and Film Festival and to purchase tickets, click here. Students participating in the Athens Project, standing in front of the Acropolis. From left to right: Joshua Leedham, Christopher Snyder, Michael Patton, Sara Daily, Joseph Dempsey, Chad Cordell, Patrick Quinn, Patrick Murphy, Andrew Pigue and Reid Miller.